Nautel has more than 40 years of experience designing and manufacturing antenna systems, primarily for use with their extensive range of low and medium frequency transmitter systems. 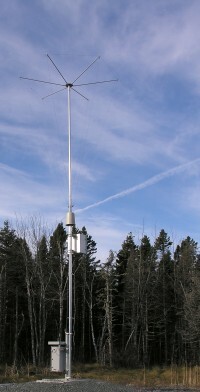 Ground-wave propagation studies are routinely conducted to determine system operational range at world-wide locations. We have the ability to fully evaluate the performance characteristics of new antenna designs using the powerful GNEC-4 modeling software that was developed in the U.S.A. at the Lawrence Livermore National Laboratory. This software can determine important parameters including input impedance, current distribution, ground loss resistance, efficiency, radiation pattern, polarization and field strength at near and far field locations.